It seems like this was the weekend for board games! 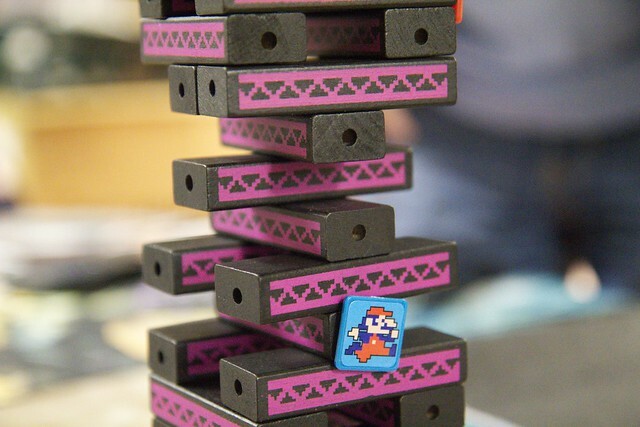 The day after I ended up at another friend’s house playing Donkey Kong Jenga among other games. While this isn’t my chosen photo for the 365 Project, this is the one I will put up as I have to respect a friend’s wishes that his image be posted. This entry was posted on February 22, 2012 by debbe. It was filed under 365, Friends . Love how you composed this! !